We hope you enjoy your virtual visit to our church building. The exterior of our church building from the south-east corner. The photograph was taken from the Nethergate, near the top of Whitehall Street. 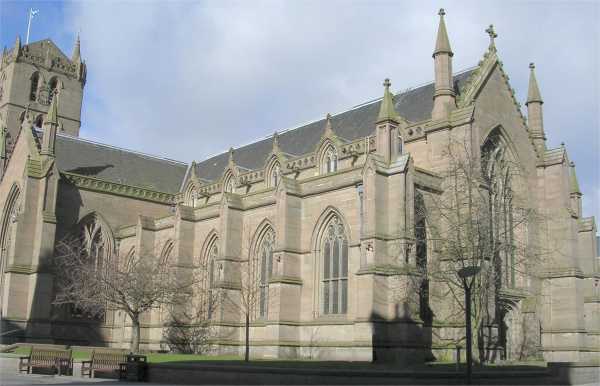 The west end of the building belongs to The Steeple Church. The east end of the City Churches. The top of the Old Steeple can be seen at the far end. The door below the Great East Window is no longer used to access the church. 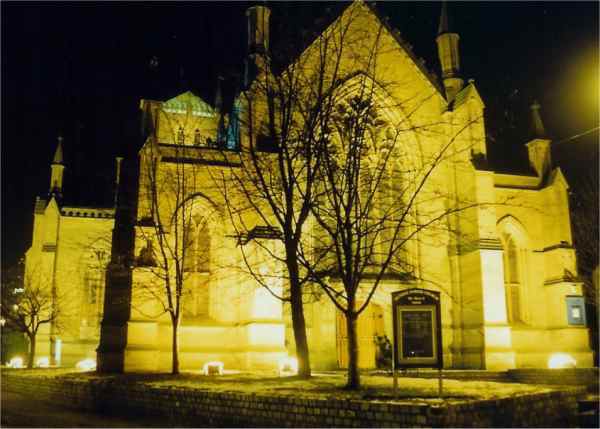 The same view, taken in 1990, when a number of City landmarks were floodlit to celebrate the city's octo-centenary. 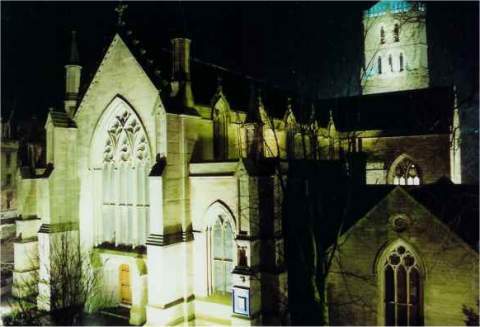 Another view, floodlit. This picture was taken at a different time from the one above, with a different film and exposure settings. It shows the north-east corner, again with St. Mary's Tower (The Old Steeple) at the west end of the building. This picture was taken in the 1980s from the roof of the old Overgate centre. 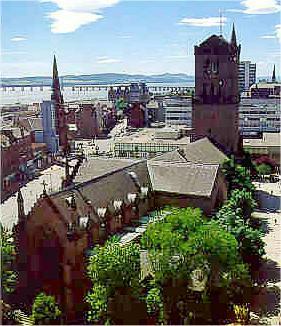 It shows the City Churches and Old Steeple, with the Tay Rail Bridge in the background. 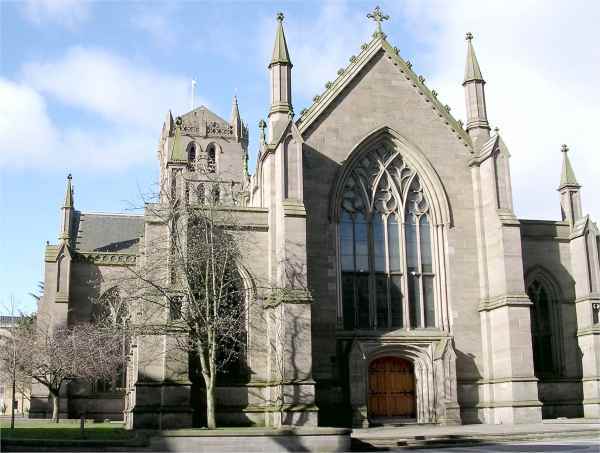 The church spire on the left is Meadowside St. Pauls, whilst the one on the right belongs to the West Church at the junction of Perth Road and Roseangle. Behind the Old Steeple, the Overgate centre and Angus Hotel have been replaced by a new shopping centre.